Before we take a single step we need to review the definition of content marketing. It’s a term we hear a lot, but what is it? Traditional marketing says: “This is our product and here’s why you should buy it.” Content marketing steps away from focusing on a specific product. Instead, this technique provides valuable material the audience desires, such as free advice through podcasts or blogs, in order to build an audience for the products it wishes to sell. By removing the product from the spotlight, it obscures the fact that it’s selling something. Modern consumers are wary of traditional marketing. They mute or skip commercials. They see through product placement. They are offended when a retailer tries to sell to them. So how do we market to customers who fundamentally hate marketing? We learn who they are, and we become who they want us to be. 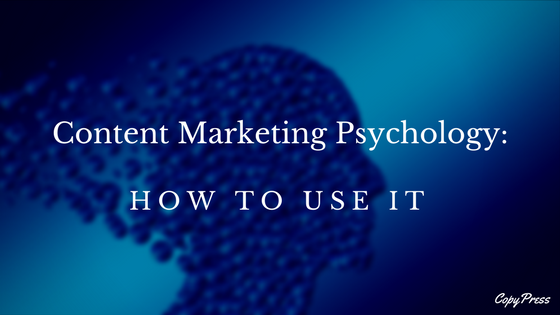 Or, in other words, we use psychology to optimize content marketing. The internet is a great big bar. We’re all hanging out trying to have fun, look cool, make friends, and hook up. Let’s admit that. We all have selfish motivations. Yet we all hate selfish people. Picture a circle of friends chatting, joking, and generally having a good time. Then one guy starts talking about his side business or multi-level marketing scheme. Now no one’s having fun, and the friends are politely suffering through a sales pitch. Don’t be that guy. Although everyone in that circle lives by selling something (physical products, services, or intellectual property), none of them want to wallow in it all day and night. When they need to buy something or partner with somebody, they probably won’t pick the guy who won’t shut up about his MLM. Instead, they’ll pick someone they know, like, and trust from that very circle who has shown interest in them and with whom they identify. Be that someone. Be the pal that is humble, smart, witty, and fun. They’ll know you’re in the sprocket business. You don’t need to say it. When they need a sprocket, they’ll reach out to you. Overt selling is a bad habit you must break. Treat it like smoking, over-eating, or procrastination. Admit there’s a problem, and work to overcome it. The better question is: “Who is she or he?” You need to imagine someone who is your perfect customer, and produce content for him or her. Draw up a psychological profile. Understand their interests, fears, problems, motivations, and habits. Learn everything about your fictitious character. Understanding the whole world is too big a challenge. Focusing your efforts on too wide an audience will muddy your content. Just pick one person and give them your everything. Don’t be you. Be the you they want. From whom do they want to buy? Are you their wingman helping them navigate a course to success and happiness? Are you a hard-working parent (just like them) busting tail to balance family and business? Why should they prefer your presence (and product) over another company’s? Like your perfect customer, craft a profile of the perfect ‘you.’ This person can be a lot like you, or they can be very different from you. The key is this person is better. Sand off all the rough edges. Eliminate political and social opinions that may alienate potential customers. 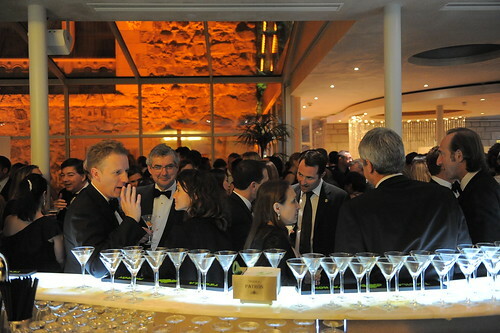 Include or enhance aspects that reinforce your bond with your perfect customer. If they want an anarchist that doesn’t trust big government, be that person. If they want a mom who forgives them for everything, be that mom. They have problems. You are a problem solver. Whatever your product, people buy it to fix something. They want their lives to be better and that’s it. What is the pain point of your target? Know it and fix it. Let’s return to the bar analogy. Why are people there? Typically it’ll be to satisfy hunger, to relieve stress, to meet people, or to reward themselves. And who are you? You are the service staff. They are hungry and thirsty people. You don’t need to push food and drink. They already have the appetite. You need to provide customer service. Reciprocity – The obligation to give when you receive. Give attention or something free to your audience and they will feel indebted to you. Scarcity – People want something more if they think it is running out. Imply a narrow window of opportunity or a brief coincidence of circumstance to grab customers’ attention. Authority – Establish that you know your field by displaying knowledgeable content. They will come to you and not the other guy. Consistency – If you post routinely and project a uniform voice, they’ll expect you to produce a reliable product. You keep your commitments. Liking – Your customer is attracted to you because you are similar to them, you pay them compliments, and you cooperate with them. Consensus – When people are unsure how to act, they’ll conform with the group. You can show them what your group is doing. For the very same reason you should dress for the job you want, not the one you have, you need to act like a thriving, successful company. Project confidence from day one. Who’s on a path to greatness? You are. Who makes a fantastic product? You do. Is it worth every penny and more? Of course it is. Are you building an army of happy fans? Absolutely. Be a confident company. You’ll find customers and partners wanting to join your success, whether it’s real or only potential. Use the psychology of persuasion, relationships, and indirect selling. Your customers will come after you. Need help with smart, on-target content marketing? Let us help.